A lot of work, but the finished product looks magnificent! Suelle, we don’t mind work like this, it might have to become an annual event , and it is much more rewarding and creative than a lot of stuff that gets called work these days. If I had those really nice flip top bottles, I would sure want to use them. Neat. Thanks for the step by step post. Celia, You would not believe what Brian came back with today. 12 kg of tomatoes for a fiver. He’s been passata-making ever since and is less than half way through his purchase. I told him he needed a machine like you, so he is investigating. Otherwise it will be Plan B. Cook em, and freeze em. Loved this series, Joanna! (And I think I’m luckier than the others in that I didn’t start reading until this evening when all three posts were up, so I didn’t have the suspense the others had to deal with!) I’ve been really eager to try canning/preserving…I think this may be the summer! The ‘theme’ for this blog gives a very spaced out long post, I keep thinking about changing to another one which is more compact so the posts don’t feel so big Abby! It looks like it is more complicated than it is. But I’m very much a beginner blogger, get into terrible tussles with the formating and photos. 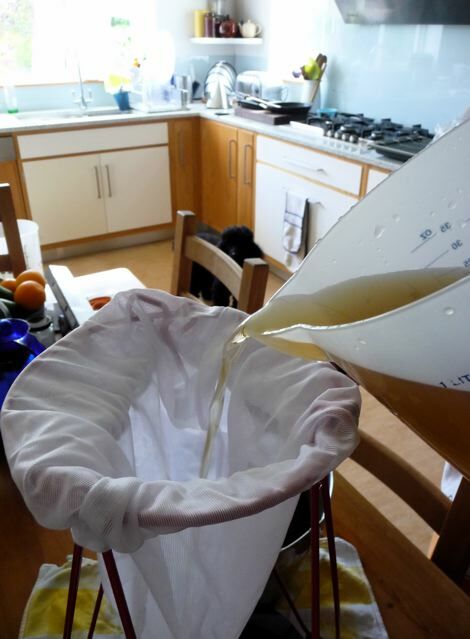 Really pleased you enjoyed the story :) It’s like time travel making these cordials and the odd bit of chutney and jam. People did it all the time not so many years ago. Really recommend this book if you haven’t got something similar btw! Jo, these look so gorgeous, your lovely labels make them look so professional and “finished”. I bet they look fantastic lined up in the pantry. It really does sound yummy, the perfect summer’s day refresher. 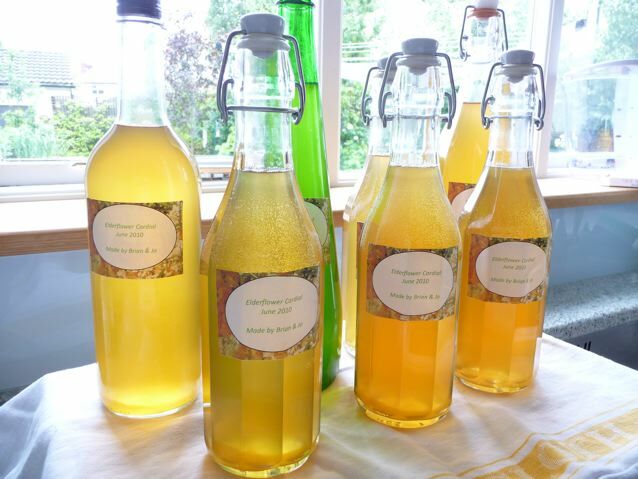 You made elderflower cordial! How marvelous and how truly lovely are your bottles full of that beautiful elixir! 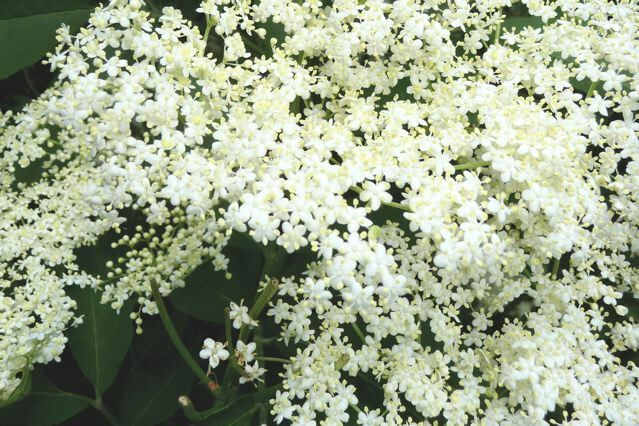 My birthday is in June and I always ask for a huge bouquet of elderflowers to put with sweet woodruff for May wine. 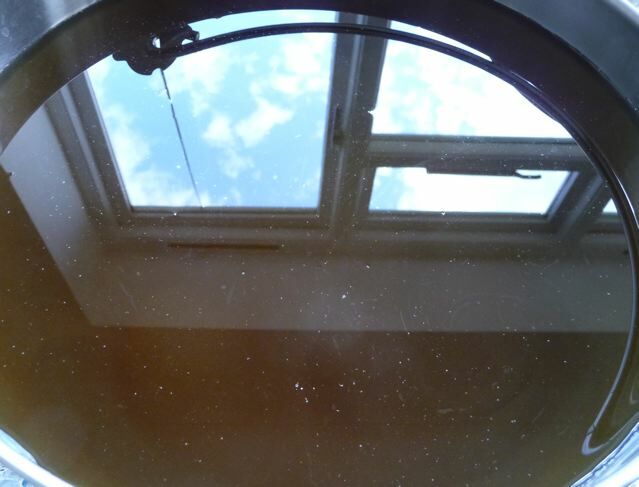 I made elderberry wine one year and thoroughly enjoyed the process and the wine! But elderberry cordial is my very favorite for using in making punches for parties and teas. Thank you for sharing- I feel as though I made it vicariously following your photos and posts. Thanks Dan :) We’re waiting for a few more bottles as we’ve got some tucked in the fridge yet to deal with…. Every time I go out I see trees in gardens, along the roadsides waving their white flowers at me, elderflower stars in my eyes. Hi Heidianne, thanks for visiting! Never tried making wine, or beer for that matter but your sweet woodruff sounds fabulous, what does it taste like? I have sweet cecily growing in the garden. Not quite sure what to do with that either. Tastes of aniseed, I put it with fish sometimes and sneak it into leafy herb salads. Sweet woodruff is a quiet little green whorl of a plant that has sweet starlike flowers in the spring. It grows in beds at the base of trees most often and when dried smells like hay. It is such a short and well behaved herb that likes shade that I’ve always made a place for it in my garden even if it’s only use is as a backdrop to my bouquets of violets and featured in the occasional May wine. I also grow sweet cecily in my herb garden but had heard that it is dangerous in large quantities and so just use the flowers for potpourris and large bouquets. I believe they used to candy it at one time. Goodness, you have made a lot of cordial. It’s rather a nice colour, despite your initial worries. We have yet to make ours this year, although we still have quite a bit of last year’s left. Beautiful picture of the elderflowers. I hadn’t heard sweet cecily was harmful. 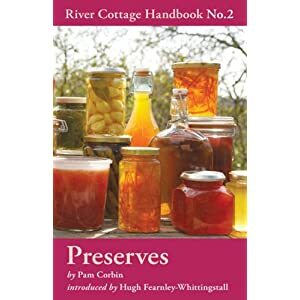 I used to use it with stewed fruit especially rhubarb and gooseberries as it takes away some of the acid and you can use less sugar. Good morning everyone, and Zeb & Brian. You should think about getting yourself a market stall, and becoming market traders for the day. and stopped to wonder if it was elderflower. I’ve got the countryside detective book at home – I’ll take it with me, next time I’m out, to see. Re. 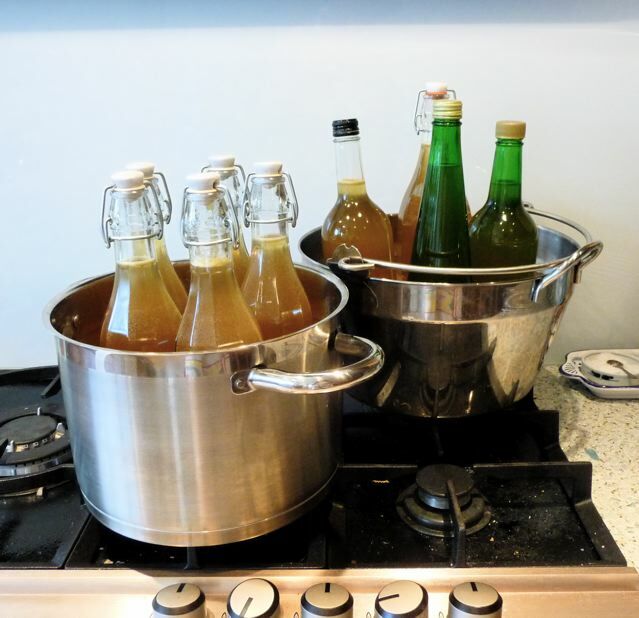 the river cottage link – Is your delicious recipe the same as elderflower champagne, is it alcoholic? 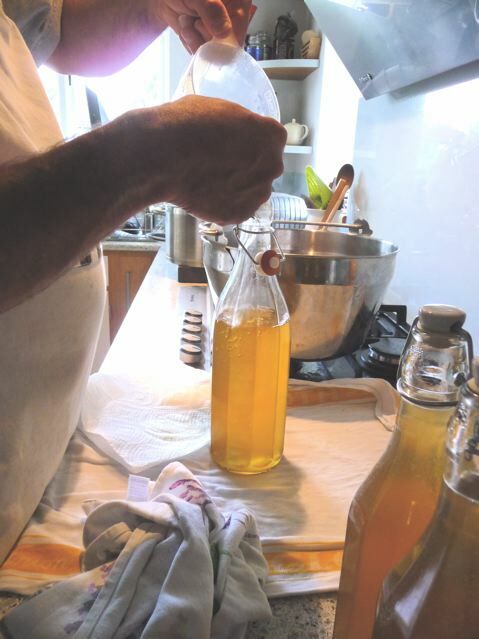 Sharpham Trust Elderflower Day http://www.sharphamtrust.org/event_detail.php?id=1412 and they confirmed it by rescheduling their Day to this Saturday 19th June. Thanks Joanna – I asked CT about this and he had thought it was possible as it’s in the umbellifer family which contains many toxic plants. There is always so much to learn. Here in the US there is a real controversy going on between herbalists and medical people. In fact, unless an herb is absolutely clear of any side effects or possible questionable reactions, it is suggested that people don’t eat it. Only strictly culinary herbs are passed by most publications who are afraid of lawsuits. I think that moderation is important in eating or utilizing anything – in perfect agreement with you, Joanna. I have a medieval herb garden that has many plants on a warning list- so I don’t, usually. I have just had a quick scoot around and found that we probably have different regulation from you. If you are curious: UK regulation info here on the Medical Health Regulation Authority site.